Lana Del Rey has a #1 UK hit album on her hands. The Official Charts Company reports “Born To Die” scores first week sales of over 117,000 copies to debut at Number 1 on the Official Albums Chart. In doing so, Del Rey’s album becomes the fastest seller of the year to date, and the first album release of 2012 to break the 100,000 sales milestone in its first week. 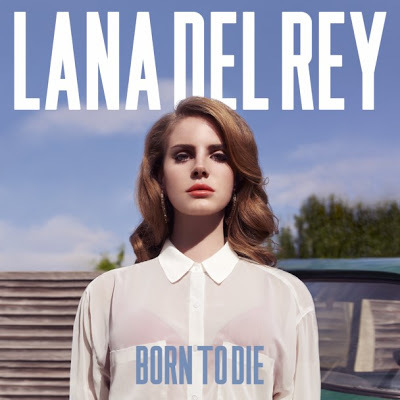 “Born To Die” follows in the wake of 2011’s upward trends in UK digital music sales. Last year saw sales of digital albums rise by over 26% year on year, and Del Rey has this week notched up a tidy 50,000 digital album sales alone in the record's first week of release. This impressive figure already surpasses Ed Sheeran’s 2011 record as the fastest selling digital debut for his triple platinum album “+”, though it is British rockers Coldplay who hold the overall digital record - current album “Mylo Xyloto” became the first album to top 80,000 downloads in a week upon its release in October 2011, racking up a tally of 83,000 digital sales out of total 208,000. The title track of Lana’s album debuted in the Official Singles Chart Top 20 at Number 14 last Sunday and climbs five places to Number 9 this week, while the debut single, “Video Games,” climbs three places at Number 17 in its 16th week on the chart. “Video Games” has sold nearly 292,000 units since its release.